The 22-year-old speedrun record for Doom E1M1:Hangar has finally been broken. Speedrunning is an intriguing hobby or profession, depending on how seriously you take it. Some games are easy to speedrun, allowing users to set multiple records time after time as they fight for the world record spot. Other games, though, require much more finesse to beat the highest records, with some speedrun records even holding the test of time for year after year. 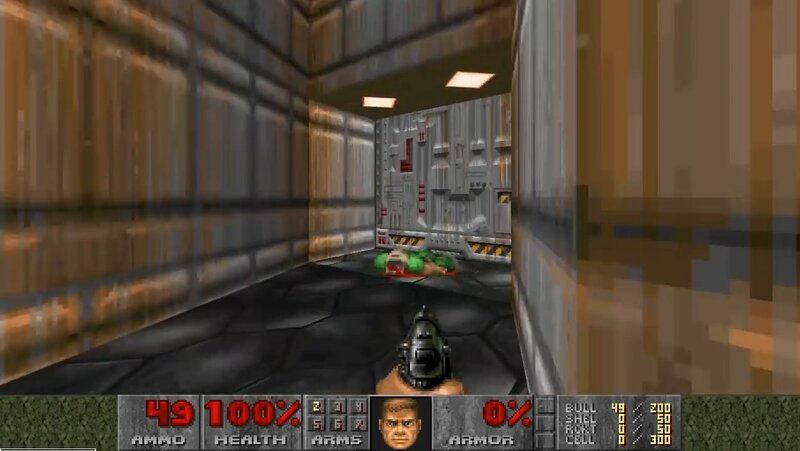 Thanks to the way the game times the player’s completion of each level, DOOM’s first level, E1M1: Hangar, has been the home of one such record. Set in September of 1998, the nine-second record has been a trophy in the speedrunning community for quite some time. This is because the original DOOM used a timing system that rounded your time down, completely doing away with any decimals that might be involved. This has made the record impossible to beat for the past 22 years. But that doesn’t mean that users have given up on trying. Originally shared back in February, YouTuber 4shockblast was able to beat the speedrunning record by bringing their own time down to 8 seconds according to the end-mission screen. You can check out the original video above to see the speedrun in action. The run that was completed is what the DOOM community calls an Ultra Violence Speed, which basically means the runner has to complete the mission on Ultra Violence difficulty as quickly as possible with enemies enabled. If you want to dive deeper into the run itself, then YouTube Karl Jobst does a really good job of explaining how the speedrunning community works when it comes to DOOM. It’s a 20-minute long video, but it’s definitely worth checking out if you want to fully understand the real skill needed to pull off this kind of record.